BIG BROTHER loomed over the rest of the network line-ups. ABC: BATTLEBOTS held at 0.9, and GREATEST HITS slipped 0.1 to 1.0. A rerun of MATCH GAME at 0.8 rounded out the night. CBS: BIG BROTHER was steady at 1.8. 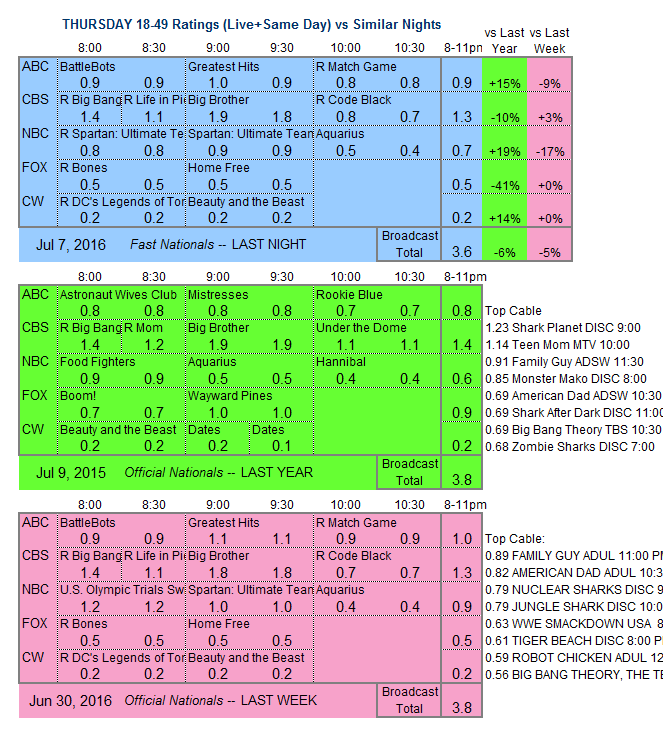 The rest of the night was reruns, dominated by THE BIG BANG THEORY’s 1.4. NBC: SPARTAN lost 0.1 to 0.9, just slightly better than the rerun in the 8PM hour. AQUARIUS is up 0.1, at least for the moment, to 0.5. FOX: HOME FREE remained at 0.5, the same as the BONES rerun that preceded it. 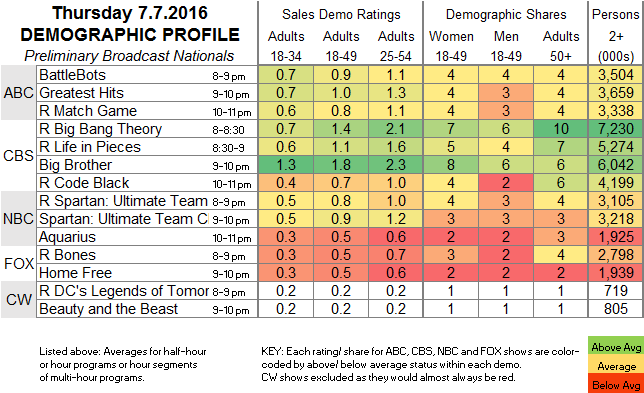 CW: BEAUTY & THE BEAST repeated at 0.2, the same as the lead-in LEGENDS OF TOMORROW rerun. NBC has a night of US OLYMPIC TRIALS tonight.